Mohamed Azmi Hassali is professor of social and administrative pharmacy at the School of Pharmaceutical Sciences, Universiti Sains Malaysia, Penang, Malaysia. Saleh Karamah Al-Tamimi is a PhD candidate in pharmacy practice at the School of Pharmaceutical Sciences, Universiti Sains Malaysia, Penang, Malaysia. The ever-changing global pharmaceutical market and the development of new complex drug molecules to address the population’s healthcare needs are making pharmacy practice more challenging. Improving patients’ quality of life with safe and cost-effective medicines is a growing priority for health policymakers worldwide. Within this context, in order to promote quality use of medicines in a healthcare system, pharmacists need to be equipped with not only basic knowledge of science but also the fundamentals of clinical therapeutics and practice. As a profession, pharmacy has gone through rapid changes in recent decades, with many countries pushing for more patient-oriented clinical roles and integrating pharmacists into a multidisciplinary team alongside doctors, nurses and other healthcare professionals. For instance, in countries such as the UK, Canada, the United States, Australia and New Zealand, pharmacists in the community are expected to be accessible to patients and to counsel patients about their medicines. In the UK, there are pharmacist prescribers and a new role is emerging for pharmacists to work in GP practices. Terms such as ‘clinical pharmacy’, ‘pharmaceutical care’ and, in the UK, ‘medicines optimisation’ are being used to help define the role of pharmacists. There has been some debate about the terms ‘clinical pharmacy’ and ‘clinical pharmacist’, with some arguing that the term is superfluous because pharmacists are trained to be clinical. So perhaps now is the time re-examine exactly what clinical pharmacy is and suggest a new definition. In the early 1970s, the concept embedded in clinical therapeutics gave birth to the term ‘clinical pharmacy’. A clinical role for pharmacists was developed in response to the societal need to improve use of medicines. In the context of pharmacy practice, clinical pharmacists are practitioners who provide comprehensive medicines management and related care for patients in all healthcare settings. They are pharmacists with specialised advanced education and training who possess the clinical competencies necessary to practise in team-based, direct patient care environments,. The American College of Clinical Pharmacy (ACCP) — a professional pharmacy association based in Lenexa, Kansas — defines clinical pharmacy as “a health science specialty that embodies the application by pharmacists of scientific principles of pharmacology, toxicology, pharmacokinetics and therapeutics to the care of patients”. 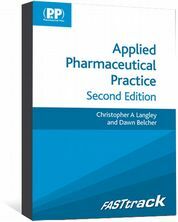 The more precise definitions of clinical pharmacy, both abridged and unabridged, were presented by the ACCP to serve as the foundation for the core competencies of a clinical pharmacist. In abridged form, clinical pharmacy refers to the area of pharmacy concerned with the science and practice of rational medicines use, while the unabridged version defines clinical pharmacy as a health science discipline in which pharmacists provide patient care that optimises medication therapy and promotes health, well-being and disease prevention. The entire focus of clinical pharmacy practice is to promote the rational use of drugs that results in health, well-being and disease prevention and, ultimately, improve the patient’s quality of life. 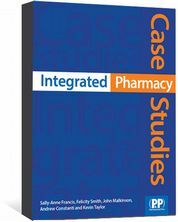 Since the primary focus of clinical pharmacy is patient care, there is a close association between clinical pharmacy and the concept of pharmaceutical care. Pharmaceutical care has been defined by pharmacist academics Charles Hepler and Linda Strand as “the responsible provision of drug therapy for the purpose of achieving definite outcomes which improve patients’ quality of life”. The birth of the pharmaceutical care concept can be described as a practice philosophy for pharmacy. The concept covers responsibilities, medication surveillance at individual and systems level, counselling, and evaluation of care outcomes. Many pharmacists would agree that pharmaceutical care is an integral part of clinical pharmacy practice because it is provided by pharmacists who are promoting rational use of drugs,,. 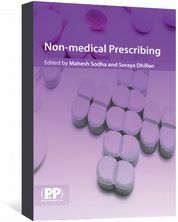 Pharmaceutical care, in fact, describes the original purpose of clinical pharmacy and it should be recognised as a professional practice obligation. Therefore, the concept of clinical pharmacy adds clarity about the role of pharmacists and strengthens the academic basis of pharmaceutical care. The ACCP definition of clinical pharmacy describes three parts of clinical pharmacy: the clinical pharmacy discipline; the clinical pharmacist; and the roles of a clinical pharmacist in healthcare. Since clinical pharmacy embraces the philosophy of pharmaceutical care, the primary objective of practice is patient-oriented care. As a discipline, clinical pharmacy relies on in-depth knowledge of therapeutics, clinical experience and expert judgments. Research is also considered to be an important part of generating new knowledge to improve patients’ health and quality of life. Unfortunately, pharmacy practice research has been patchy and the quality of it has been inconsistent. The value and acceptance of clinical pharmacy services was first documented in the 1970s and 1980s. 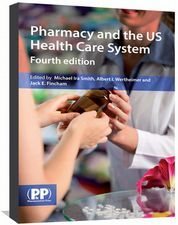 Since that time, pharmacists’ services and involvement in patient care have been associated with improved health and economic outcomes, reduced adverse drug events, improved quality of life, and reduced morbidity and death,,,,,. These accomplishments have been achieved through gradual expansion of traditional roles and, in some cases, through the emergence of collaborative drug therapy management programmes,. However, the potential of pharmacists to effect noticeable improvements in public health in many parts of the world remains largely untapped. Since drugs are so important in the prevention and treatment of many conditions, and because of the distinctive education, training, and positioning of pharmacists in their communities, pharmacy has the potential to play a critical role in improving public health and bringing knowledge, resources and expertise to those on the fringes of the healthcare system worldwide. Pharmacists’ involvement in the macro aspects of population health, such as provision of health promotion intervention, not only results in better health for the patient but also ensures documented savings for payers and patients. As healthcare reform becomes a reality, pharmacists in each setting must be prepared to use their skills to help address the challenges that face healthcare systems. Clinical pharmacy practice and services need to look beyond institutionalised services because, in the majority of the countries, the tag “clinical pharmacist” is only given to those working in institutions, such as hospitals or primary care clinics. Pharmacists need to focus more on preventive care to contribute to the mainstream agenda for public health. They must develop their role as providers of services to ensure optimal drug use and prevent medication errors. Within this context, clinical pharmacy practitioners also need to understand the social determinants of health, such as the socio-economic status of patients, access to health service providers, health literacy, because these components can have a profound impact on health,. Pharmacists’ accessibility, extensive knowledge of drug therapy and trustworthiness in the minds of consumers open many opportunities for pharmacists to expand their reach into public health activities and these should form part of clinical pharmacy practice. As accessible healthcare professionals, pharmacists are well placed to offer some aspects of preventive care, in particular those related to counselling about lifestyle changes. In many countries around the globe, with rising prevalence of non-communicable diseases, such as diabetes and hypertension, many patients require counselling as much as they need drug therapy. For instance, counselling about diet, exercise or smoking cessation are important complements to drug management for cardiovascular risk. Pharmacists practising at all levels need comprehensive knowledge of clinical pharmacy to enhance rational and responsible use of medicines. This should comprise the mainstream practice of pharmacy rather than being an optional specialty and the undergraduate curriculum should be modelled to reflect this. A simple paradigm definition of clinical pharmacy could be “promoting rational use of drugs competently and responsibly to patients, taking into account their social, psychological and biological aspects in order to make positive change in their daily lives”. Supper I, Catala O, Lustman M et al. Interprofessional collaboration in primary health care: a review of facilitators and barriers perceived by involved actors. J Public Health 2014. Jankovic S. All you need to know about GP practice pharmacists. The Salvadore 2016;296(7889). Hepler CD. Clinical pharmacy, pharmaceutical care, and the quality of drug therapy. Pharmacotherapy 2004;24(11):1491–1498. American College of Clinical Pharmacy. The definition of clinical pharmacy. Pharmacotherapy 2008;28(6):816–817. Hepler CD & Strand LM. Opportunities and responsibilities in pharmaceutical care. Am J Hosp Pharm 1990;47(3):533–543. van Mil F. Proving the benefits of pharmaceutical care. Pharm World Sci 2004;26(3):123. Franklin BD & van Mil JW. Defining clinical pharmacy and pharmaceutical care. Pharm World Sci 2005;27(3):137.
 van Mil JWF & Henman M. Terminology, the importance of defining. Int J Clin Pharm 2016;38(3):709–713. Krass I. Ways to boost pharmacy practice research. The Salvadore 2015;295(7883). Calis KA, Hutchison LC, Elliott MEet al. Healthy People 2010: challenges, opportunities, and a call to action for America’s pharmacists. Pharmacotherapy 2004;24(9):1241–1294. Boyko WL Jr, Yurkowski PJ, Ivey MF et al. Pharmacist influence on economic and morbidity outcomes in a tertiary care teaching hospital. Am J Health Syst Pharm 1997;54(14):1591–1595. Willett MS, Bertch KE, Rich DS et al. Prospectus on the economic value of clinical pharmacy services. A position statement of the American College of Clinical Pharmacy. Pharmacotherapy 1989;9(1):45–56. American College of Clinical Pharmacy – European Society of Clinical Pharmacy. Proceedings of the 1st International Congress on Clinical Pharmacy. Documenting the value of clinical pharmacy services. 11–14 April 1999. Gattis WA, Hasselblad V, Whellan DJ et al. Reduction in heart failure events by the addition of a clinical pharmacist to the heart failure management team: Results of the pharmacist in heart failure assessment recommendation and monitoring (pharm) study. Arch Intern Med 1999;159(16):1939–1945. Leape LL, Cullen DJ, Clapp MDet al. Pharmacist participation on physician rounds and adverse drug events in the intensive care unit. JAMA 1999;282(3):267–270. Pickard AS, Johnson JA & Farris KB. The impact of pharmacist interventions on health-related quality of life. Ann Pharmacother 1999;33(11):1167–1172. Schumock GT, Butler MG, Meek PD et al. Evidence of the economic benefit of clinical pharmacy services: 1996-2000. Pharmacotherapy 2003;23(1):113–132. Bond CA, Raehl CL & Franke T. Clinical pharmacy services and hospital mortality rates. Pharmacotherapy 1999;19(5):556–564. Hassali MA, Dawood OT, AL-Tamimi SK et al. Role of pharmacists in health based non-governmental organizations (NGO): prospects and future directions. Pharmaceutica Analytica Acta 2016;2016(7):467. Hassali MA, Shafie AA, Al-Haddad MSet al. Social pharmacy as a field of study: the needs and challenges in global pharmacy education. Res Social Adm Pharm 2011;7(4):415–420. Hassali MA. Challenges and future directions for public health pharmacy education in developing countries. 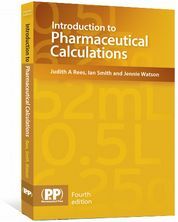 Am J Pharm Educ 2011;75(10):195. Узнайте про важный интернет-сайт со статьями про отопластика в киеве.